Never judge a book by its cover. 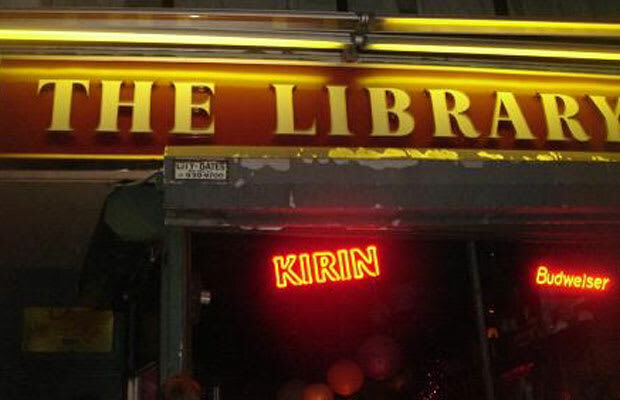 Unless that book is a bar, and that bar is called the Library. Yes: Books do indeed line the walls of this East Village dive, where you're more likely to hear Motörhead than Fleet Foxes (which makes it really hard to put on a serious face and write poetry in hopes of becoming a future missed connection). Nevertheless, it’s a safe bet that you'll catch a plaid-draped beardo or a tapestry-adorned ingenue, both near unconscious, welcoming you to the curb outside the Library after one too many Genesee Creams. No shared information here, just shared shame.